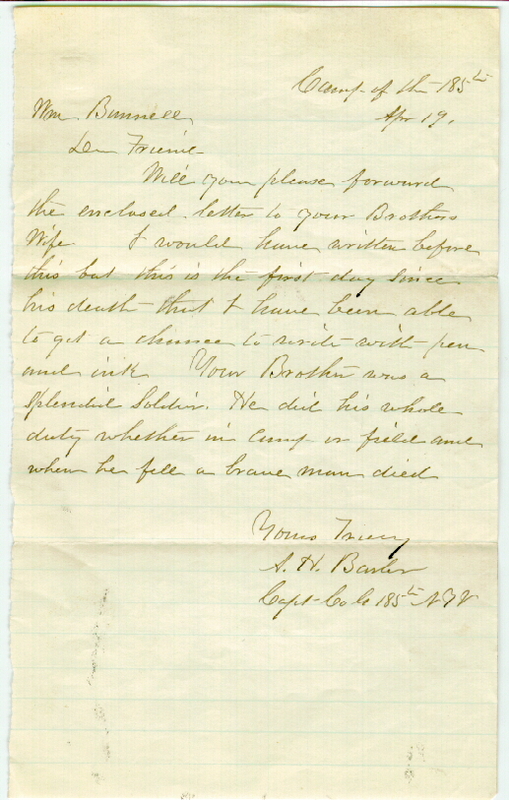 Captain Albern H. Barber was the commanding officer of Company G. Following the death of Charles A. Bunnell on March 29, 1865, he wrote the following letter to William H. Bunnell of Marathon, New York. when he fell a brave man died. View a scan of the letter. View a scan of the envelope. 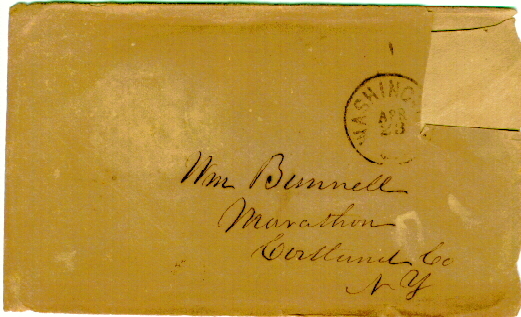 Charles E. Bunnell, the contributor of this letter, reports that he does not know the whereabouts of the letter which had been enclosed. He assumes that it was a letter from the Captain to the widow. File created: April 13, 1999.